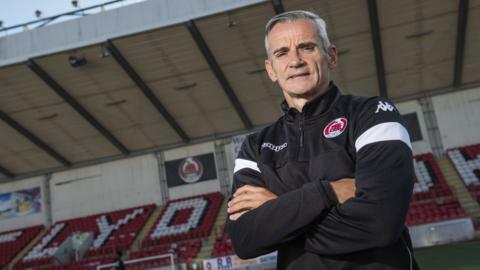 Clyde say their punishment for fielding an ineligible player is "unduly harsh", and are backed by Berwick Rangers, after their appeal was rejected. All the arrivals and departures during January in Scottish League Two. BBC Scotland gives a rundown of the arrivals and departures during summer 2018 in Scottish League Two. Stuart Armstrong's return to form may give Celtic a difficult decision to make this summer, says Rob Maclean. BBC Scotland gives a rundown of the arrivals and departures during January in Scottish League Two.